Theme Portal Marketplace , is a script by which you can easily setup your own digital store. 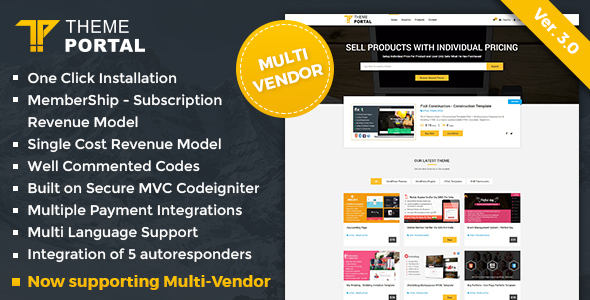 If you are looking to sell your WordPress Theme , Plugins , Scripts or any Other Digital Content you can use this script and setup your store in minutes. You can setup your shop in two mode , price per product or membership clubs or plans. That is based on different subscription one can setup the shop.